Microchipping your pet is the best way to ensure they stay safe and by your side. Microchipping your pet is the best way to ensure they stay safe and by your side. But what is it, exactly, and how does it work? A microchip is a tiny chip that is about the size of a grain of rice. It contains a unique identification number that can be read by simply passing a scanner over your pet. Nearly every veterinary clinic and shelter across the country will be able to read the chip, making it a reliable way to be reunited with your pet should they ever go missing. At Country Club Veterinary Clinic, we urge all owners in Lake Charles, Sulphur and beyond to microchip their pets. You can bring your pet in for a microchipping appointment, but many owners choose to get the procedure done when they’re already in the clinic for a wellness exam, spay or neuter procedure, dental cleaning or vaccinations. Similar to getting a vaccine, the microchip is implanted just under the skin between their shoulders using a needle. It’s a simple, quick and nearly painless procedure for your pet. Once you’ve had your pet microchipped, make sure you register your information with the microchip company. The chip itself does not contain specific information on your phone number, address or name, so you’ll need to provide that to them and keep it updated over the years. It’s a good idea to list your cell phone number in case your pet goes missing while you’re traveling. You should also be able to list an alternate contact in case of emergencies. Microchipped pets in Lake Charles, Sulphur and other areas may travel farther than you think should they get loose. 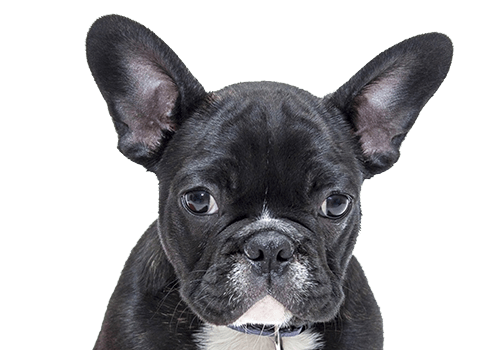 Country Club Veterinary Clinic provides microchipping for pets in Lake Charles, Sulphur, Westlake, Iowa, Carlyss, Jennings, Orange, Vinton, Dequincy, DeRidder and the surrounding areas.